Bombardier has filed a court action against Metrolinx, alleging the regional transit authority has put light-rail vehicle delivery in jeopardy by changing the scope, timeline and technical qualifications of the project countless times. The province's transportation minister is firing back after Bombardier filed a court action against Metrolinx Friday, in which the manufacturing giant alleged the regional transit authority put light-rail vehicle delivery in jeopardy by changing the scope, timeline and technical qualifications of the project countless times. "It is unfortunate that Bombardier has chosen to take this step. 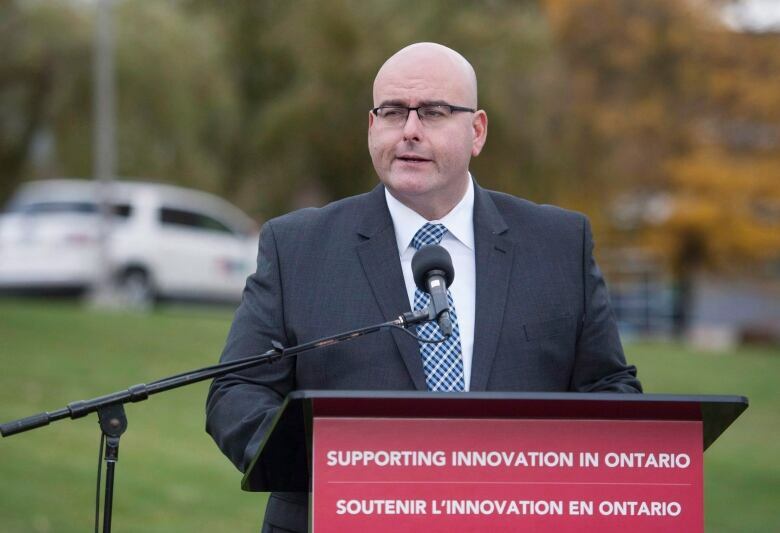 The people of the region deserve more," a statement from Steven Del Duca said. "I expect all of our suppliers to honour their contractual obligations and to perform professionally, and to recognize that there are consequences for failing to do so," the minister added. 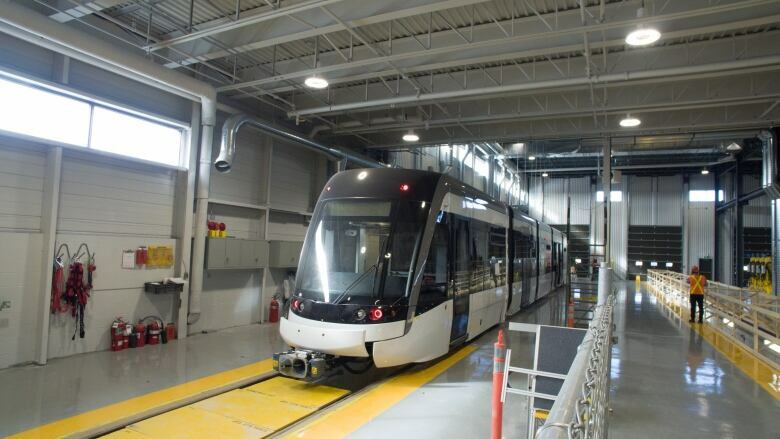 "It has been clear for months that Bombardier has failed to meet its obligations as it relates to other critical transit projects," the statement said, citing the delayed delivery of a test pilot vehicle and numerous others to Metrolinx. The TTC has experienced similar delays, he added. The injunction by Bombardier comes about three months after the regional transit agency filed a notice of intent to cancel the nearly three-quarter-billion dollar contract to build LRT vehicles for the Greater Toronto Area, citing concerns over quality and manufacturing of the vehicles. In response, Bombardier announced Friday they have filed a motion for an injunction with the Ontario Superior Court in response to Metrolinx's "unjustified threats." "The big story here is we don't want to be in court," Bombardier's vice president of communications and public affairs, Mike Nadolski, told CBC Toronto. Nadolski said little about claims Metrolinx had adjusted the scope of its projects, saying the company has laid out its arguments in the motion. ​In a statement, Bombardier says the goal of the injunction application is to encourage Metrolinx to "resume good faith discussions." In November, Bombardier spokesperson Marc-Andre Lefebvre told CBC Toronto Metrolinx's notice of intent was a "normal" part of the contractual process. Asked on Friday why the manufacturing giant would proceed with an injunction after what was dubbed an unsurprising move, Nadolski said simply: "It was time to set the record straight." He also reiterated the company's investments in its staff and facilities, saying that while performance was an issue in the past, Bombardier is on track to deliver on its commitments, citing a recent delivery of TTC vehicles. Bombardier says it is fully capable of delivering its trains on time, and that a test car has been ready since October 2016 but Metrolinx refuses to have it delivered. The company adds that despite the motion, it will continue to work on the trains and that they needed to take this action to protect their employees and allow for the on-time delivery of vehicles to Toronto. An adviser for Bombardier told CBC Toronto that if Metrolinx cancelled the contract it would jeopardize more than 200 jobs in Kingston and Thunder Bay and cost Ontario taxpayers millions of dollars. Bombardier is under contract to deliver 182 light-rail vehicles which will be used mostly on the Eglinton Crosstown and Finch LRT. In a statement, Metrolinx spokesperson Anne Marie Aikins said the transit agency is "disappointed" at Bombardier's legal step, citing a "longstanding relationship" between the two organizations. "Metrolinx has been concerned for some time about the performance of Bombardier and their ability to deliver a quality product on time as per the scheduled 2021 opening of the Eglinton Crosstown," the statement said. "We have repeatedly conveyed our disappointment to Bombardier on its progress to date and in particular that the pilot vehicle is almost two years late and has not been delivered." The transit agency says its first step now will be to review Bombardier's application. Bombardier promises Friday's injunction will not result in further delays. "We're not stopping work. Not a single person, not one of our hundreds of people in Kingston and Thunder Bay, they haven't stopped. It's business as usual ... Because the ultimate goal [is to] deliver cars to the people of Toronto," Nadolski said.